CLEVELAND -- Giannis Antetokounmpo had not let Wednesday's loss to the Indiana Pacers go when he took the court in Cleveland on Friday night. 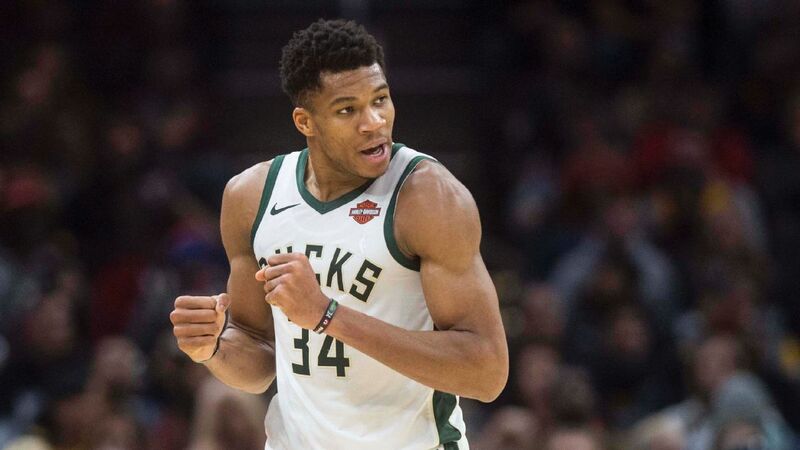 Using his performance in Indianapolis as fuel, Antetokounmpo exploded for 44 points, tying his career high, to lift the Milwaukee Bucks past the Cleveland Cavaliers. "I think he's a competitor -- he wants to be great," coach Mike Budenholzer said after the 114-102 victory. "Any time he doesn't meet the standards and expectations he sets for himself, the next game he is going to come out with a very aggressive mindset." Antetokounmpo had 14 rebounds, 8 assists and 2 blocks, notching his 20th double-double of the season. Against the Pacers, Antetokounmpo scored just 12 points on a season-low seven shot attempts. Afterward, he sat for nearly 20 minutes in silence, staring at his phone and icing his feet and knees, reflecting on the game. On Thursday afternoon, he slunk away from practice in Indianapolis and shut himself away to watch film with Budenholzer. He showed up at Quicken Loans Arena early Friday night to get in an extended pregame workout. He was the first player ready to tip off and the first man in a Bucks uniform out on the court after the halftime break. Against Cleveland, Antetokounmpo was looking to score from the get-go, scoring his first points off a dunk. With Khris Middleton (finger) and Malcolm Brogdon (hamstring soreness) out of Milwaukee's lineup, Antetokounmpo played 38 minutes. When Antetokounmpo rested in the third quarter, the Cavaliers were able to go on a 10-0 run to slice the Bucks' once-commanding lead to seven points. "It's a game I had to put in the past," Antetokounmpo said of Wednesday's showing. "Today was a great win for us. We have to keep building, keep getting better." Giannis Antetokounmpo's double-double ties a career-high with 44 points and 14 rebounds in the Bucks' 114-102 victory over the Cavs.